I had my share of language learning experience as a child. This is the time when you don’t question the grammar rules or their exceptions, when it’s perfectly okay to make mistakes, be corrected or a tad embarrassed in front of a whole class because you don’t really care. Then you grow up… All of a sudden, you are conscious of making mistakes, you want to understand the logic behind every grammar rule and yes, and you will be mortified when making mistakes. Why? Because you are an adult, an educated person expressing yourself at a level of a young child and that is just disturbing: you have your ego protesting and screaming: hey, I am not stupid! It all ended when Frank, a well-educated engineer started taking English classes, at a beginners level. I sensed his frustration, because he really wanted to express himself but couldn’t. How could he? He had just started his journey of learning English at the age of 38. And last week, after failing to get his message across, he just burst out: “I am stupid! I like 5-year-old!” And that’s when it hit me: I did understand his frustration because I have been feeling the same way. He smiled and was grateful. I assured him: nobody thinks he is stupid, it’s only the beginning. 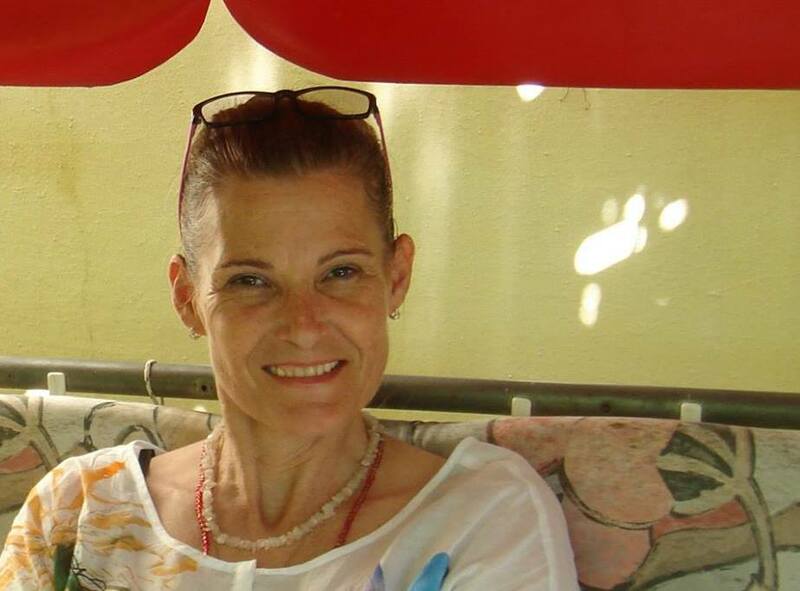 My journey to become an ESL teacher by Katie Burgess – What’s Your Story? Next up on the What’s Your Story? Blog Challenge…Katie Burgess! 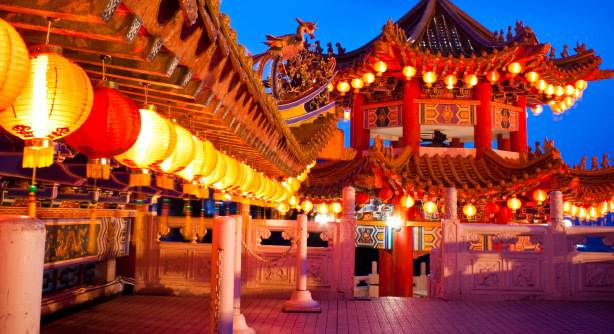 She takes us on a trip from Hungary to the US to China – what a beautiful story about how she became a teacher. I knew I was meant to be a teacher when at age seven I gathered my stuffed animals and my reluctant little brother into my room, having them sit in a circle around me, paying close attention to my small chalkboard, introducing them the world of numbers and letters. My inspiration was my first grade teacher, Miss Varga who taught all 42 of us how to read and write. To me, as a small child it was such a remarkable experience that in a short time I could put meaning behind those characters, the letters which at first looked so intimidating, foreign and scary. I admired her patience and wisdom. It seemed nothing less than a Miracle that I was introduced to the world of letters and numbers and I contributed it to her Power. Yes, to me, she had the Power of knowledge which she has passed on to us. And I wanted that magical Power. I come from Hungary, a small European country with a unique language. From 3rd grade we already studied French and continued with Russian from 5th grade on. I kept studying both because I was fascinated by languages and cultures entirely different from ours. At university, I majored in French and Latin was mandatory for 2 years. I continued with Italian, just for fun, which seemed relatively easy after the two other romance languages. Then in my 2nd year of studies when I picked up applied linguistics as a minor we were asked to study English so that we could read related articles and that’s when I met English, for the first time. Even though I had plenty of experience with languages, when I first bumped into the word enough, I became frustrated: how can you possibly write this word this way and then pronounce it in such an unexpected way? Two years later I was in in the US, in Miss Chloe’s evening class, along with a number of other freshly arrived immigrants, having one common goal: to learn English because it’s a must in order to survive in the New World. I respected Miss Chloe, our ESL teacher: her dedication to us, her everlasting patience when we have all struggled with the weird sounds and I knew, right there: I want to become an ESL teacher. I want to be there, in front of a class where everyone needs to learn English, for their career, their promotion, for their education, or simply to survive. So I did learn English. Two years later I passed the TOEFL test, with flying colors and went on studying at University of Oregon. 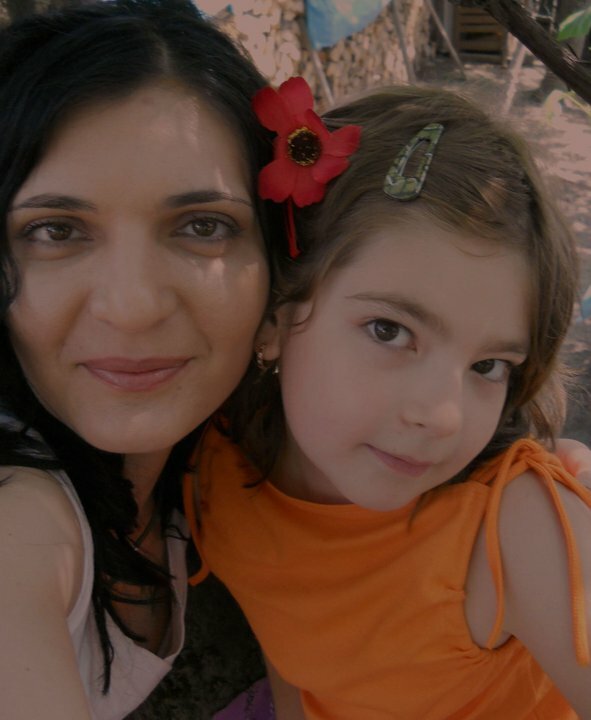 When later my family and I relocated to my home country I started to teach English. And there was no stopping me, after that. I continued my education at Cambridge University, eventually got my Masters and have been attending seminars and workshops to better myself. In my almost 20 years of teaching I had the chance to teach Mexican immigrants’ children in the US, college students in Hungary and over the past 2 years I have been teaching in China. 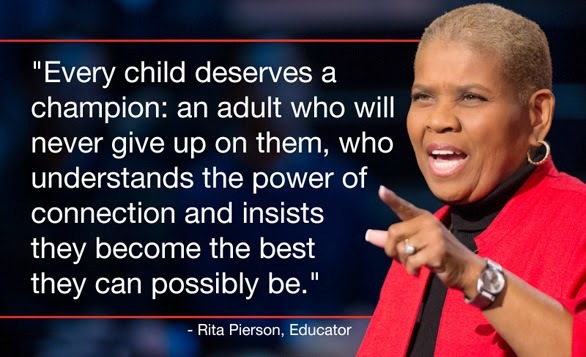 I feel blessed to have those amazing and encouraging teachers early on and as a tribute to them, I do my very best to continue their paths and be as inspiring to my students as my teachers were to me. 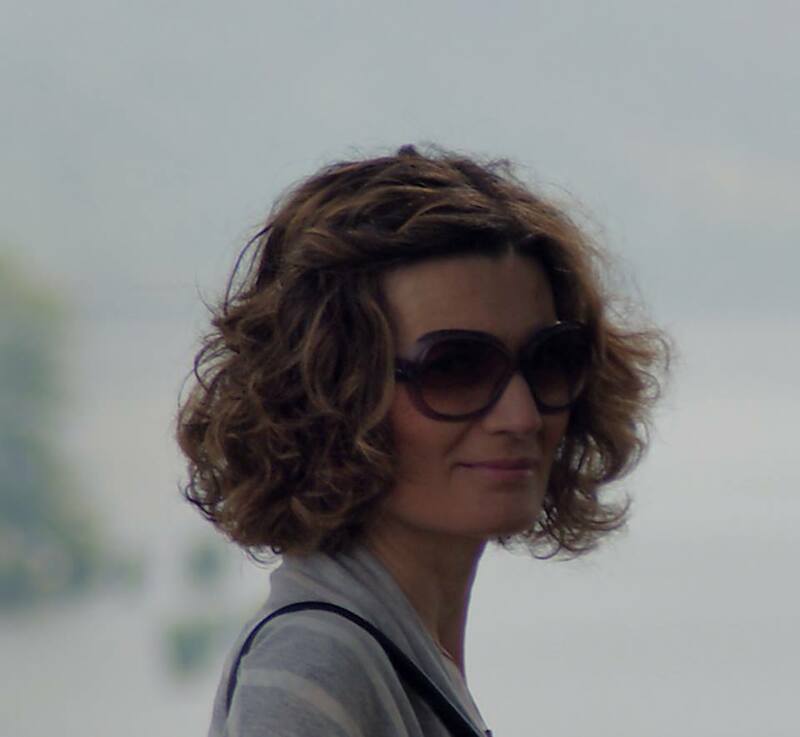 Here is another story, number 55, all the way from Iasi, Romania and Mona Arvinte, an English language teacher who has written her beautiful story! Read on about how she found her way into teaching and interacting with other teachers. Thank you so much, Mona! Mulțumesc! Of course, we all have stories and we all like stories. Am I ready to share, to put it on paper? Hmm, that’s a totally different story. Let’s see. My story is really simple. So hard to look back. That’s a real challenge to me, I think. I chose to be a teacher for all the wrong reasons, I guess. I didn’t like kids, I had no patience whatsoever, didn’t like assigning or checking homework either. That has changed over the years now. I’ve come to realize it’s best to interact, share and change ideas. If you asked me what I’d be doing in 5 or 10 years’ time, I wouldn’t know. Probably the same but who knows? Life’s full of surprises. I became a teacher about 13 years ago. Back then I did not even know I wanted to be a teacher. It’s not like I’ve been dreaming to be a teacher all my life. Let’s just say I had to, not that I wanted to. I come from a small town and there were few opportunities for teaching English at that time. I remember quite well the look on the kids’ faces when the head teacher introduced me to the class. To say the least English was totally strange to them and so was the teacher. So I entered the classroom. They did not pay any attention to me, nor to my words. That left me in a corner, not knowing what to do next. I began by telling them who I was. Well, I was so naïve to think they might actually look up to me for the simple fact I was a teacher. But no, that didn’t work. I had to do something and quick, so I tried to improvise something. I remembered my first English lesson. I was about four or five. We were having so much fun, my English teacher at that time did her best to keep us motivated by involving each and every one of us in many engaging activities. I am positive I owe a lot to my first English teacher as to my teaching style. She was a fine lady. Teaching is about sharing. I used to think teaching is just a job like any other job, you just go into the classroom, do your job, take your books and get back home. I was wrong, I guess. Over the years I realized these kids have feelings, too. They aren’t like little robots that will do whatever you ask them to do just because you want them to. No! They care, they have feelings and they also have their own stories that they like sharing, too. As to my professional development, I’ve started to attend training courses and webinars that you can easily find online. That’s a whole new world to me. I didn’t think that would have been possible in the past. Or at least that hadn’t come in use to me not until last year. And I’m very happy about it as I get to learn a lot. As a teacher you never stop learning. It’s a long journey. I am currently teaching 5th to 8th graders. It’s not that easy, not all are good students but it’s something that I love doing. Teaching is an excellent job, very rewarding. It helps you stay young at heart. Not to mention holidays! 😉 Just kidding. Plans for the future? Well, I kind of like to live in the present. Start blogging? Have my own website page? Become an online teacher? All these trends are very appealing to me. I like trying new things all the time. Definitely yes, if the time is right! So this is it. My life, my story! No time to think it through, I just do what I think it’s best for me and my students. Time to turn the page to a new chapter, hopefully! When I moved to Greece 21 years ago I was a bit lost to say the least. The language and finding employment were a few of my stumbling blocks. Of course, for everyone else the issue of ‘finding a job’ was easy. “You’re a native speaker, so obviously you’ll teach English”, they said. What was so obvious to them was not that clear-cut for me. I did have all of the required English Language Certificates to teach, but what did I know about teaching? Absolutely NOTHING! And so, here starts my story. I consider myself extremely lucky, or blessed if you will, to have worked for wonderful people who not only took a chance on me, but also showed me the way and encouraged me to improve myself and my teaching skills (of which I had none). Thanks to them, (great heartfelt thanks to them!) I have completed courses in English language teaching and Methodology and quite successfully if I may toot my own horn. Thanks to them, I have become a teacher I am proud of regardless of the fact that I didn’t go to University for English. So, where was the problem? Well, I am a very friendly and optimistic person by nature, so when I first started working at a Frontistirio I was very excited and ready to grab the bull by the horns; ready to start implementing what I had learned. My first day was unforgettable, unfortunately though, not in a good way. I was the “new kid on the block” and my colleagues weren’t ready to embrace me with open arms. I distinctly remember the cold looks I got and the comments which revolved around the common, “So, do you have a degree in English or are you just a certificate holder?” Which translates as, “Just because you’re a native speaker doesn’t mean you belong here.” “You know nothing about teaching. You don’t have the fundamental educational background.” I can go on, but I think I’ve made my point. Of course I lied and said that I do have a degree in English, because I was so overwhelmed by the negativity of these people that I was too afraid to tell them the truth. I think the worst thing was actually thinking that they may be right. I remember one colleague in particular, we shared a Proficiency class. This person purposefully didn’t share some very important information about the syllabus, (the part that “I” had to cover) which left me looking like a complete idiot in front of my class (as it was a student who brought it to my attention, in front of the entire class. Yeah, can you believe it? ), and a complete incompetent in front of my boss. I mean, come on, who does something like that? In all fairness, I don’t hold a grudge nor do I find fault in their attitudes. They spent years studying to get their degree, worked hard for it and I come waltzing in, taking a position they thought I didn’t deserve just because I was a native speaker. I don’t think and I never thought that because I am a native speaker I have something more/better to give to my kids apart from pronunciation and perhaps a better insight of the Canadian culture. What I can say in all certainty is that it was attitudes like those that made me go further. The monkey on my back that has, I guess, driven me to reach the goals I have set for myself. So, perhaps I should be thanking them. I do not want this to come across as me bashing those who have attitudes like that (really, I can understand your frustration), but I also can’t dismiss the dedication I have to being a better educator and all the hard work I’ve done / am doing to accomplish that. NOT because I am a native speaker, but because I want to give the best I can to my kids. I know I’m a good teacher because I love what I do. I also know I can be a thousand times better because I love what I do. So, yes. My name is Joanna. I am an English teacher who doesn’t have a degree in English. 2. If you do not have your own blog, I can post on mine. Feel free to use #blogging #blogchallenge #education as your hashtags, or any other ones you prefer, when posting on social media! A year ago, I was asked by the amazing Chuck Sandy to write a blog post for iTDi under the title The Ideal Classroom. I thought about it and a few minutes later, I had a clear picture of an ideal classroom. I thought of all the environments I have worked in: some were picture-perfect, others much less so – no lighting, having lessons in our coats and gloves. But which is the best kind? The ideal one? Some of them are hi-tech or bare floor. Some are in beautiful modern buildings, some do not even have windows or roofs. Others have tablets and computers for the students; in other schools kids sit on the ground with little chalkboards, or even draw in the dirt. Which is the best one? Or even better, what do they all have in common, which makes them all ideal classrooms? The people in them. The students and the teachers. They are what make classrooms special, and ideal, and amazing. It is the Human Touch in them. In March 2014, I gave my very first plenary talk at the TESOL Macedonia-Thrace Northern Greece Convention. I thought that this topic would be the one for me to talk about – and I hope that the teachers who would come to listen would connect with it. I shared my own story and the difficulties I faced during my first years in Switzerland. I found other teachers I had met online or face-to-face, who each represented a specific story and I included them in the plenary talk. The teachers in the talk found themselves in these stories, and I found myself in theirs. Then I did the same plenary for RSCON5 and the opening keynote for the iTDi Summer School MOOC. More teachers, more students, more amazing stories to share! That is why I always say: every person, every student and teacher, has their own story. No one has had it easy at some point or another, and we need to be there for each other. We are there for each other, to help and motivate one another, and that is what makes education beautiful, in addition to all the learning that takes place. This is the beginning of a series of stories, by you, the teachers and the students. Watch this clip from the film The Freedom Writers, based upon the true story of educator Erin Gruwell and her students. And the last post in the PD in Focus series is here. All about blogging! – Who is going to be interested in what I write? – What if I write something silly? So I started and I love it! I don’t always have the right answers – but I try to share as much as possible, good moments and bad, I try to intearct with others and I absolutely love the exachange of opinions. There is agreement, there is disagreement that makes you think, as long as it is constructive criticism. There are so many ideas you get from other educators and so much inspiration! Many are the times when I think what a great idea someone has had, how much I would like to apply someone’s ideas for the classroom and appaud them on that as well. – Writing and sharing. Something you think is a simple idea for you and you have been doing it for many years in the classroom, could be a revelation for someone else. Just go ahead and share! Your experiences, troubles, happy moments, lesson plans, anything you can express yourself through! There is a welcoming and supportive community of teachers out there waiting to read. 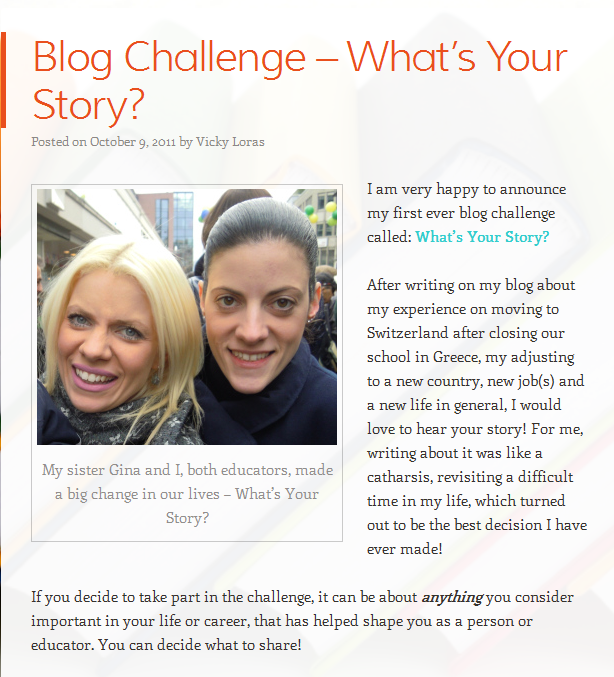 – Blog challenges. An educator invites others to contribute to a common theme – for instance, it can be about vocabulary teaching, or Business English, or teaching idea at all. Some call it a blog carnival, which sounds fun! 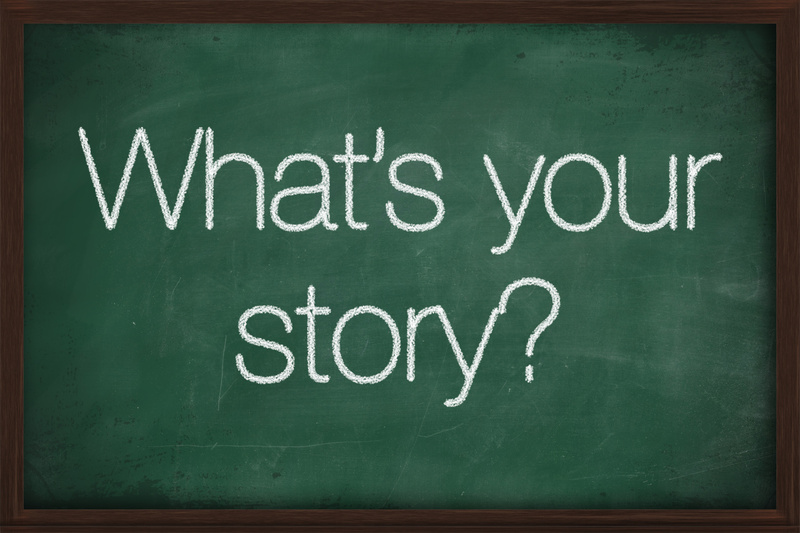 I held one on my blog a couple of years ago, called What’s Your Story? and 27 educators shared their stories on it: some very personal moments, teaching experiences, anything that they wanted to share. And I really appreciated it. And a lot of people did and we saw ourselves in those stories, and we felt better. We are not alone! There are others out there who share the same experiences as we do. – Pages. Blogs can become treasure troves of ideas and different kinds of posts: you can organise your blog into pages and have different topics there. Lesson plans, different areas of ESOL, photos, whatever you think expresses you. – Reflection. A blog can be a journal. There are educators out there who blog every single day about their teaching, education in general or various educational issues that interest them. That doesn’t serve everyone, though. It can be once a week, once a month, or whenever you have inspiration – you will find your own pace: as long as you use it as a reflective tool, a journal that you can revisit and see what has changed, what has improved or not. It has helped me tremendously as an educator and I feel I am constantly changing and evolving. Still making mistakes but learning from them! – Guest posts. You can invite other educators whose work you admire to write for you! The reflection coming from these posts are amazing. Plus, you get to network with these educators and exchange ideas. My first ever guest blogger was George Couros, all the way from Alberta, Canada. 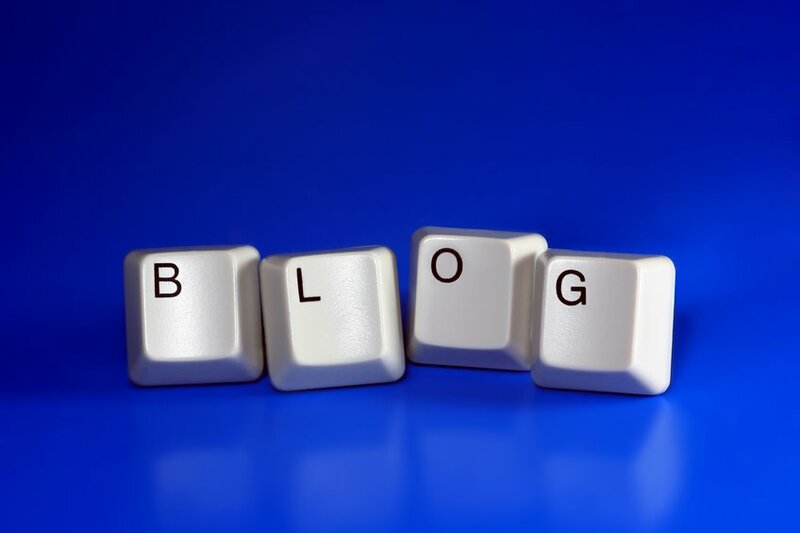 It is a firm belief of mine that blogging is a great way for educators to develop professionally, as you can reflect and learn from your teaching – it is also good to write these thoughts down, as you can revisit them. Yesterday, I got to read an amazing post by Dean Shareski, who is an educator from Saskatchewan. (The post was actually tweeted by George – which led me to Dean’s article…the beauty of social media! A whole different post though.) He sums it all up perfectly in How to Make Better Teachers and is honestly one of the best posts I have come across on blogging and professional development. The post is from 2010 and as current as ever. I truly thanks Ken for motivating me to start my own blog – it has helped me in so many ways! No matter if you are a new teacher or an experienced one, a blog is one of the best things you can do for your own learning.